Some people call it a John Lennon hat, since the Beatle famously wore it during the British Invasion. 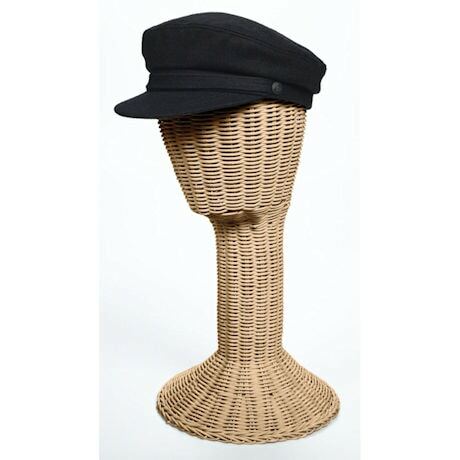 Made in Greece, this practical, perennially stylish cap has been popular since the early 19th century. Always in black, it looks great on everyone. Wool blend, lined in satin. Men's sizes 6 7/8, 7 1/8, 7 3/8, 7 5/8, 7 3/4.